Stop by or Order Now to see it. This location features our new and improved menu! 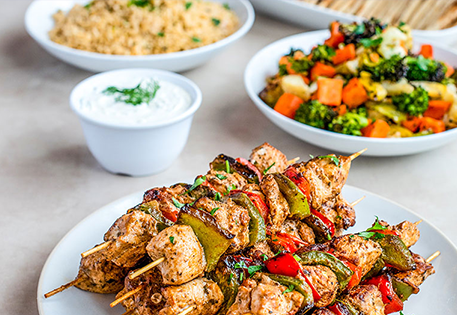 Stop by to enjoy Zoës Kitchen classics like Spinach Feta Rollups and Kabobs, as well as brand new items like the Avocado Lentil Salad and Modern Greek Salad. Pro tip: Add one of our juicy kabobs or crispy falafel to any salad or bowl for a protein boost and extra flavor.